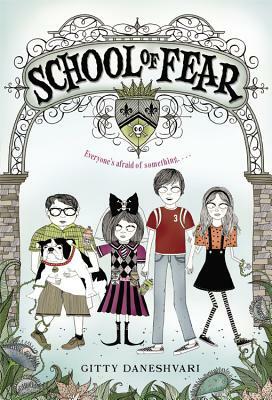 For the first time--maybe ever--Madeleine, Theo, Lulu, and Garrison are not looking forward to the start of summer, and three little words are to blame: School of Fear. In what they're sure will be the longest and most terrifying six weeks of their lives, the foursome must face their phobias head-on as students of the exclusive and elusive school. There's no homework or exams. But if they don't conquer their fears by the end of the summer, they'll find out just how frightening failing can be. Former Contrafilms Director of Development, Gitty Daneshvari is the author of the adult novel The Makedown. This is Gitty's debut children's book, and it was inspired by her many childhood fears. She hoped that one day they'd help her, and, as it turns out, they have. She lives in New York. Carrie Gifford spent many years teaching and directing children's theater before starting Red Cap Cards with her husband. Her signature pencil-and-ink style is inspired by her childhood memories. She lives in Los Angeles.